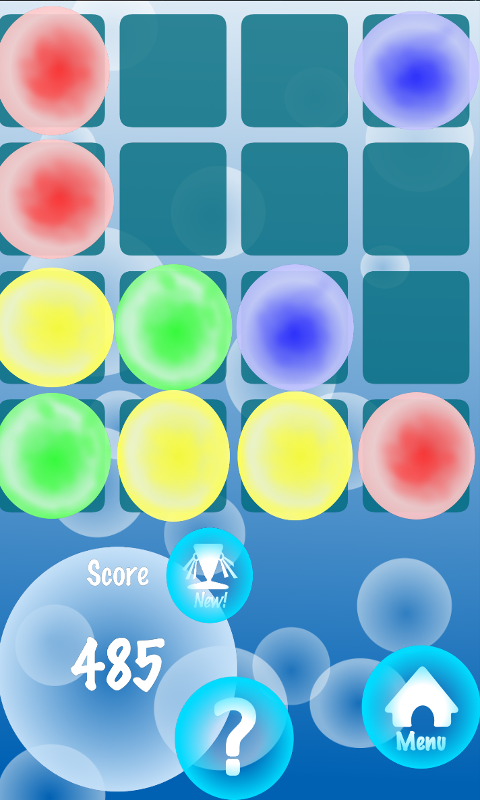 â€œBubble Boardâ€ is a game with colorful bubbles. 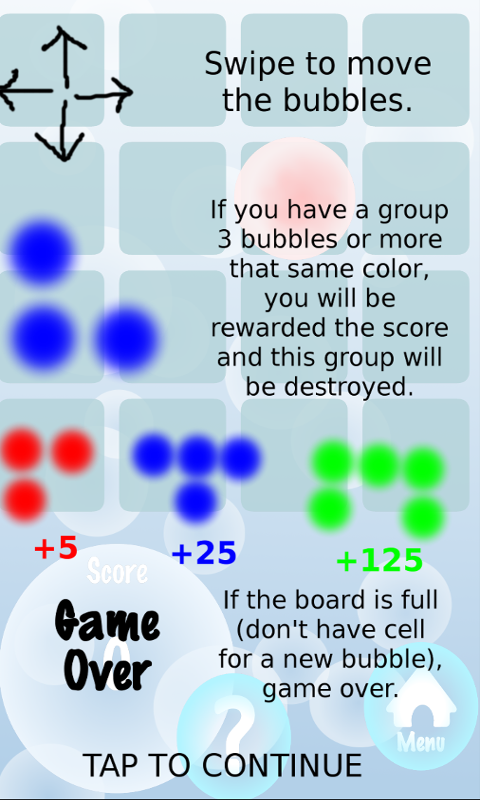 Swipe to move the bubbles and if you have a group 3 bubbles or more that same color, you will be rewarded the score and this group will be destroyed. 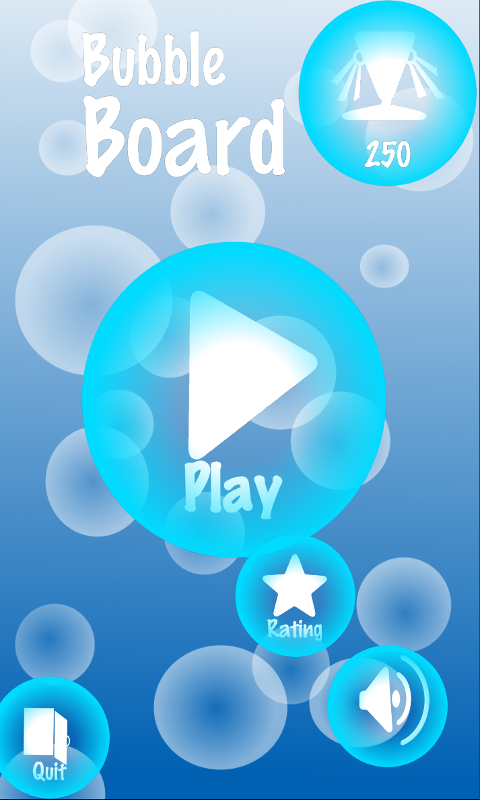 The more bubbles, the more score. 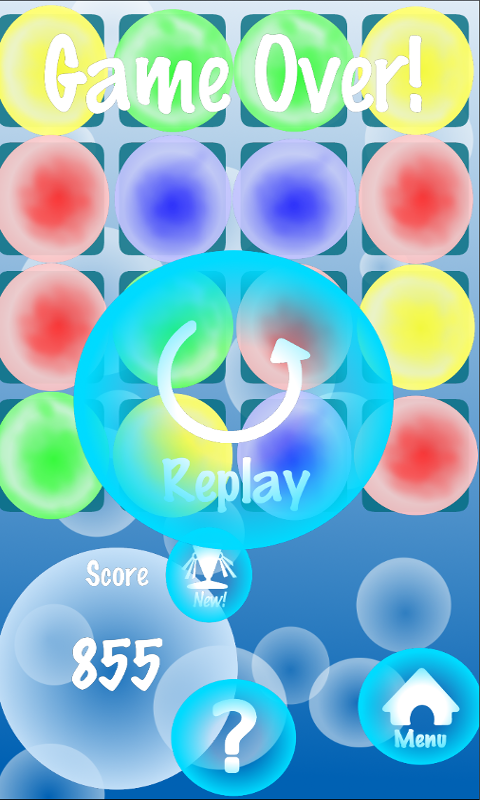 The game over when the board is full (don't have cell for a new bubble).